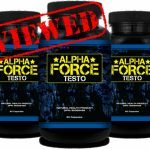 Can D-Aspartic Acid increase your testosterone levels? 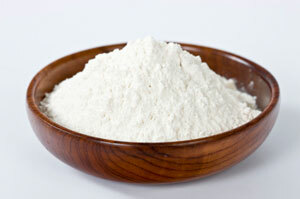 You may have heard of D-aspartic acid, or DAA as it is commonly known. DAA is an amino acid which is one of the major building blocks of life. Aspartate racemase is an enzyme produced by the body which is then converted in the testes into DAA. It is naturally occurring in both the testes and the pituitary gland, which is located in the brain. What Are Some of the Health Benefits of DAA? As we age, the levels of naturally occurring DAA start to drop, as do the levels of testosterone produced. DAA proves to be especially beneficial to men whose testosterone levels are lower than average, and it was noted that there is a direct correlation between DAA and D-glutamate levels. For men who have optimal testosterone levels, DAA showed little to no effect on the production levels. D-aspartic acid can also prove to be beneficial for those looking to build muscle mass and reduce body fat. As it helps produce higher levels of testosterone, DAA plays an important role in helping build muscle by increasing the amounts of testosterone which helps maintain the healthy growth of muscle and limits the amount of fat deposited in the body. 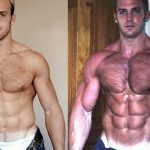 There is also encouraging evidence that when DAA is combined with vitamin B6 and B12, and folic acid, men were able to raise their testosterone levels in just 12 days after which they could commence with intense bodybuilding. 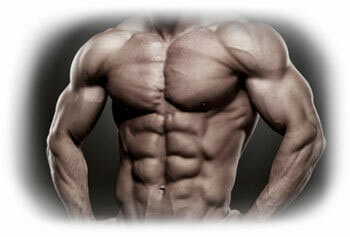 DAA also helps males maintain muscle mass by keeping testosterone levels high. When testosterone levels drop, muscle mass can decrease, leading to smaller muscles and sag. Depending on how you take DAA, side effects can occur. Sticking to the recommended daily dosage will help you avoid any potential side effects; however, taking too much can lead to several problem effects such as increased acne, headaches and mood swings. Purity is important when it comes to DAA. Many of the chemicals and fillers used to preserve amino acids and vitamins can be the cause of problems such as headaches and acne themselves. So a pure supplement can help avoid any potential side effects. Avoid supplements with proprietary blends then. You should be able to see every ingredient included on the label with the exact dosages listed. Can You Find DAA in the Food You Eat? While there are plenty of foods you can introduce into your diet to help increase the amount of DAA in your body, oral supplementation works at a much faster and impressive rate. 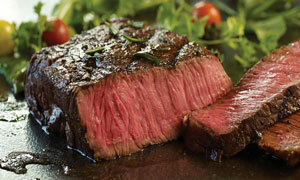 Foods that are high in DAA are poultry and meat such as chicken, beef, and pork. One average-sized beef fillet provides about 4.5 grams of aspartic acid, and a 3-ounce portion of beef pot roast contains about 2.4 grams. Eggs, dairy, milk, and cheese are all great sources of DAA, with a 1 cup serving of non-fat milk providing about 0.7 grams of DAA. Plant based foods such as grains and vegetables can provide moderately high amounts of DAA with one cup of long-grain white rice containing about 1.5 grams. The effective dose of D-Aspartic acid is between 2 – 3 grams per day and can safely be taken daily. 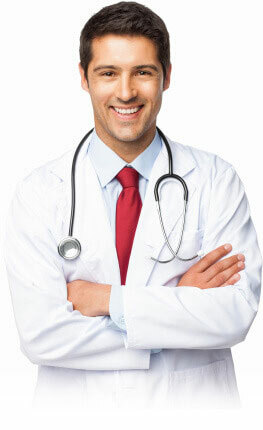 So What is the Medical Science Behind DAA and Testosterone? DAA is produced in the neuroendocrine tissues of all vertebrates and non-invertebrates, such as humans and rats. In clinical studies it was found that supplementation with sodium d-aspartamate increased the release and synthesis of LH and testosterone. The result found that ‘D-aspartic acid is a physiological amino acid occurring principally in the pituitary gland and testes and has a role in the regulation of the release and synthesis of LH and testosterone in humans and rats’. During the trial, a group of men was given a daily dose of D-aspartate for 12 days while a separate group was given a placebo. The trials also included 12 rats that were fed a solution orally before the effects of DAA were tested from cells isolated in the pituitary glands and Leydig cells. The trial allowed the researchers to gain a better understanding of how DAA triggers the production and release of testosterone. In the human study “Reproductive Biology and Endocrinology” it was found that men supplemented with 3.12 g of D-aspartic acid for 12 days gained an increase of their free testosterone by an estimated 42 percent. After three days of cessation, it was found that their free testosterone levels dropped by roughly 10 percent. How Long Should I Use DAA For? While no long term studies have been conducted on the effects of long term usage of DAA supplementation it is widely considered safe. Most manufacturers of supplements containing DAA have similar guidelines for its use. The best results of DAA use can be seen after 12 weeks, at which point your testosterone levels should be reaching a much higher peak than before. Unlike anabolic steroids, there is no need for a cessation period as DAA naturally boosts testosterone levels safely. Of course, it is possible for people who take well above the recommended dosage to experience side effects such as anger, depression, increased acne, or hair loss. This should not happen if you are sticking to the recommended dosage. Taking more than recommended will not speed up results. As with any supplement, follow the guidelines and don’t abuse it for quicker results as you will be more likely to suffer stronger side effects which could ultimately be detrimental to your progress. 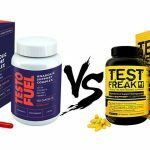 Who Should and Shouldn’t Use DAA Supplements? While supplementation can be beneficial for most, there are always those that should avoid using certain ones. As males, we would not dream of taking female HRT (Hormone Replacement Therapy) as the effects would cause our bodies to respond in a more feminine way with increased breast tissue, body fat accumulation and a reduction in body hair. The same goes for supplementation with DAA. It is recommended for males aged 18 years and older who are suffering from low testosterone levels, and males who find that their libido and sexual desire is low. It is also useful if you are looking to increase muscle mass and strength gains quickly. It should be avoided by females, as there is not enough evidence to determine whether it would be detrimental to the production of estrogen; anyone under the age of 18 years old; those with already high levels of testosterone; and those who suffer from hypothyroidism. For the majority of people, DAA supplementation is a safe, fast and natural way of boosting T levels, increasing lean body mass and promoting the growth of muscle. While many clinical studies are short lived and limited in participant numbers. 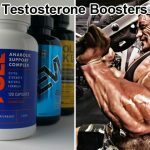 There is now solid evidence that supplementing with DAA can help increase testosterone levels by a whopping 42% in the male body, and in as few as 12 days. 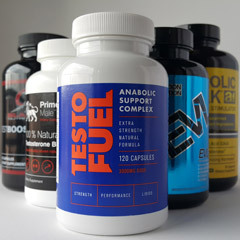 Therefore you can drastically increase your testosterone levels in less than two weeks. The increased testosterone produced by DAA supplementation clearly shows that it can help increase muscle mass and size at a better level than without it and could prove to be one of the ultimate tools in helping you build muscle, reduce body fat and improve the your physique. Being an amino acid and one of the building blocks of life, DAA is an important player in the world of male health and fitness. 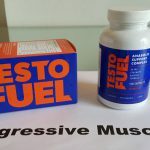 It is a safe and effective way of increasing testosterone and if not abused can help you reach your body goals in a quick and efficient manner.